By the end of my day presenting to grades 7-12 at Waterford Jr/Sr High School, I was backed into a corner by a mob a middle school students looking for signatures and selfies. “They sold out of books. Sign my arm,” one kid said, and so I did. The bell rang and a teacher told the group they needed to get to class. They didn’t budge. With phones in hand they wanted pictures. They got them, and then I packed up, went home, and collapsed. 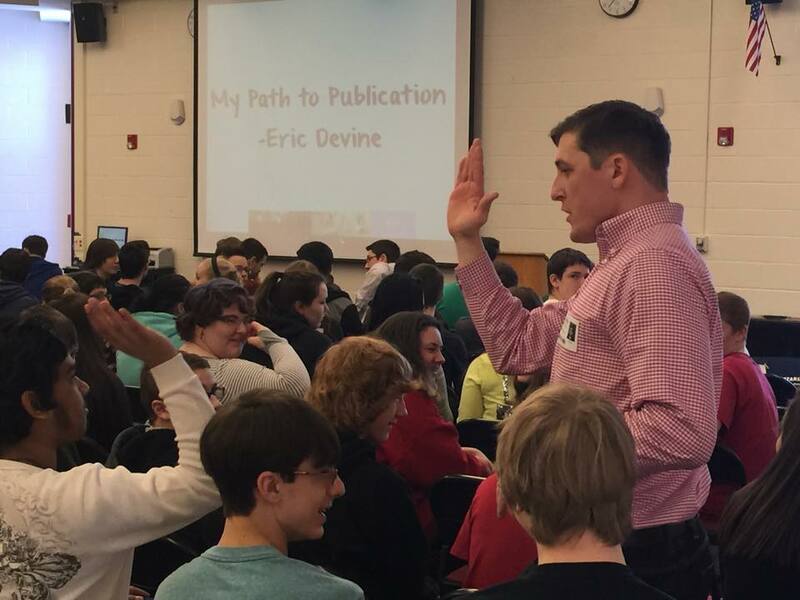 Was very honored to have @eric_devine come to our school today. Your speech was amazing! I cannot express how fantastic it is to receive such swift and positive feedback. I have done a fair amount of presentations, and never has the outpouring of support been so strong. 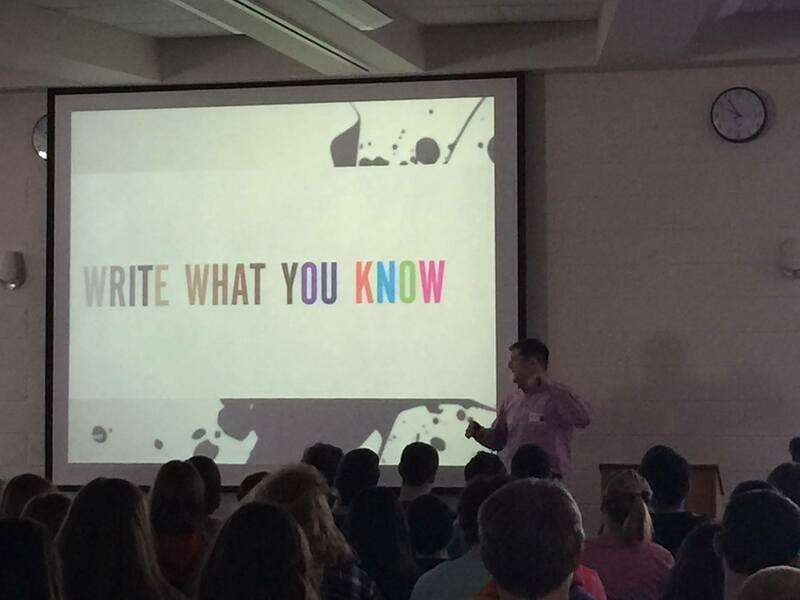 Whatever it was, I cannot say thank you enough to the faculty and staff for inviting me in. And a special thanks to the English department and Mrs. Clinton for doing so much work behind the scenes to make the day a reality.